A visitor to the AOMA campus and clinics may notice the beautiful art that graces many hallways and rooms. Most of these striking images were created by Dr. Jing Nuan Wu, and donated by a current AOMA student who was also a student of Dr. Wu’s. 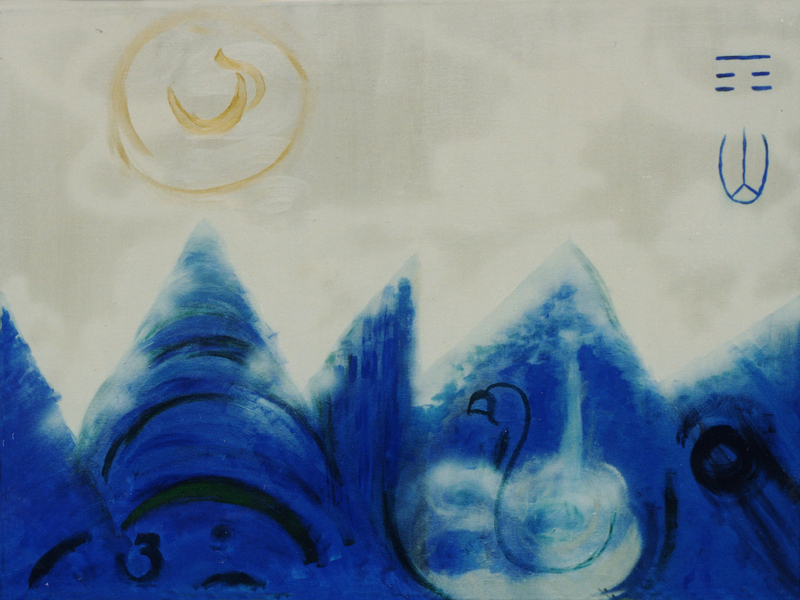 Jing Nuan Wu (1933-2002) was an artist and acupuncturist who practiced in the Washington, DC area for thirty years. 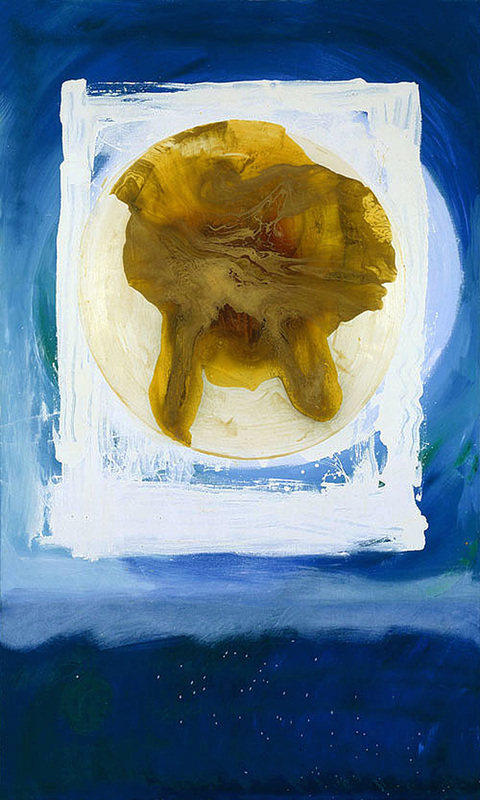 Wu considered his art an extension of his healing practice and a new medium for the application of the theories of Traditional Chinese Medicine. 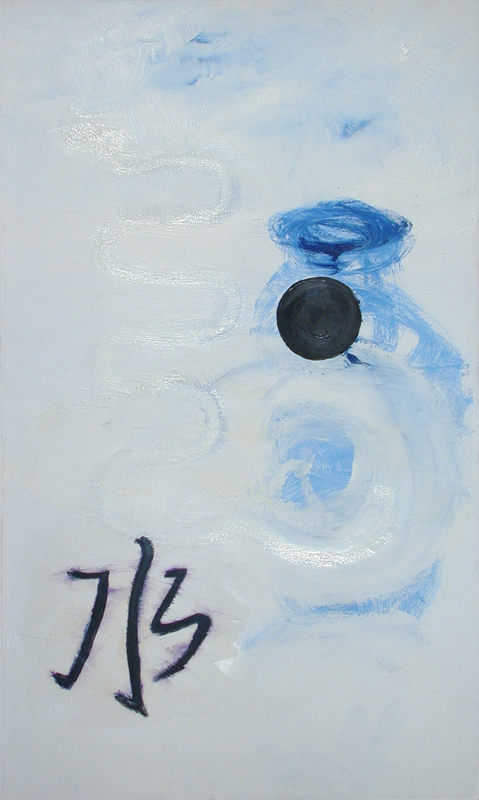 Inspired by the Wu Xing (Five Phases), an ancient Taoist theory concerning the balancing powers of color and imagery, Wu created paintings and sculptures to promote individual and collective healing. His work became a form of “visual acupuncture”. Dr. Wu’s art is a new medium for the application of the theories of Traditional Chinese Medicine. As early as the first medical literature in China, which is 4,000 years ago, there is the idea that taste, sound, color and imagery can be used to promote healing or “getting into harmony”. 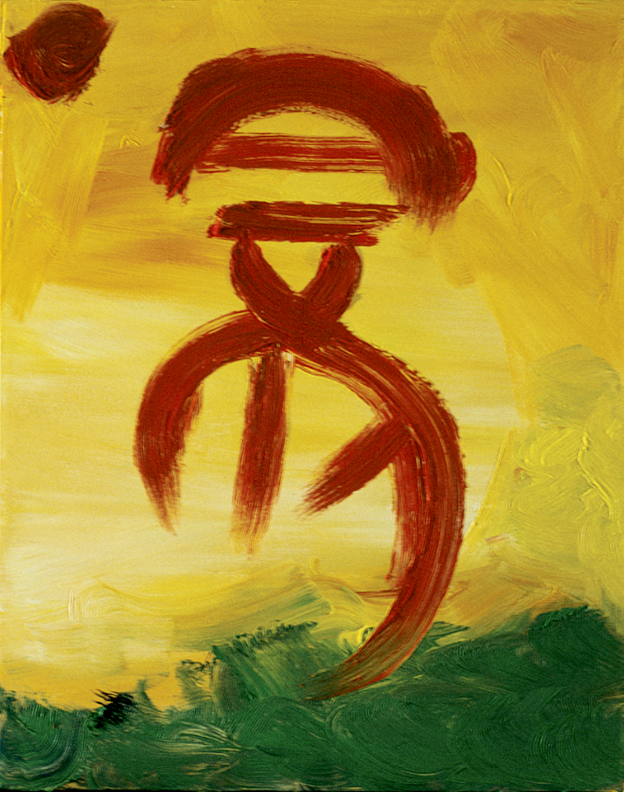 Inspired by this idea, Dr. Wu creates paintings and sculpture to promote individual and collective healing. His art is a tool for accessing the multiple inner realms and deep connections of our own body, mind and spirit. The healing colors and images help us adjust to the energy and workings of the external world. Of major significance in his paintings and sculpture is the yin and yang duality of all things in existence. A sense of balance must bind contrasting opposites or their dynamic relationship will be disrupted. Likewise, harmony in an individual must be maintained for health to be maintained. Rather than vanquishing illness, the goal of Chinese medicine is to foster the balance necessary for permanent health within the context of constant change that is the world. If one does not work internally and externally with the forces of life, illness will occur. Before he died Dr. Wu requested that his art be displayed in healing spaces. 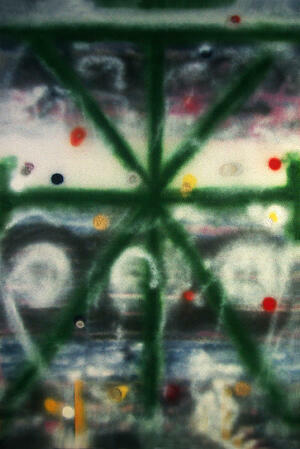 The original canvas of The Hidden Cure is on permanent loan to the National Institutes of Health. The AOMA student who gifted these prints to AOMA knows Dr. Wu would be happy to have his artwork within a Chinese medicine school and clinics. Here is a virtual tour of the artwork and their locations at AOMA. Chiron’s Fee was inspired by a dream vision. This painting honors two great healers, one from China and one from Greece. The central image of a coin blends symbols from the East and the West and represents the fusion of heaven and earth. The intent is that the possessor of this image will always have the provisions for medical care. Chinese medicine holds that there are three forces that interact in a continuing dynamic. Externally these forces are heaven, man and earth represented by the bands of purple (also associated with the brain), red (also associated with the heart) and gold (also associated with the stomach). 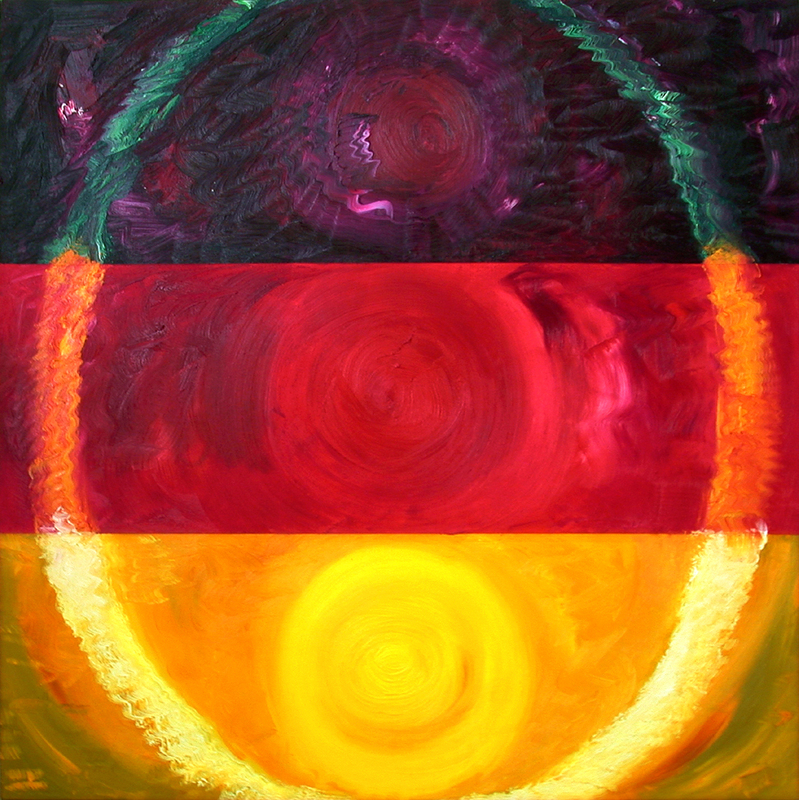 A multi-colored circle of qi - the energy that flows through everything in the universe - links the three forces together. When they resonate in harmony and the qi is free-flowing and balanced, health is predominant. When they are in disharmony and the qi is unbalanced, illness occurs. 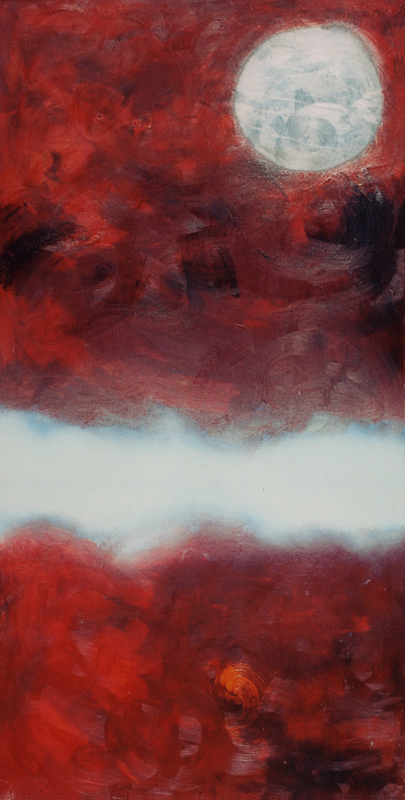 This painting was inspired by the poetry of the Ancient Chinese Philosopher, Li Po. You ask me why I live among the green mountains? I laugh and answer not – my heart is at peace. ‘Tis another sky and earth, not the world of man. Water, associated with dragons in Chinese theory, is the most magical substance on earth. In its softest state it can overcome the hardest metal. This painting is a reminder of the transformative powers of an element that is the largest part of us. 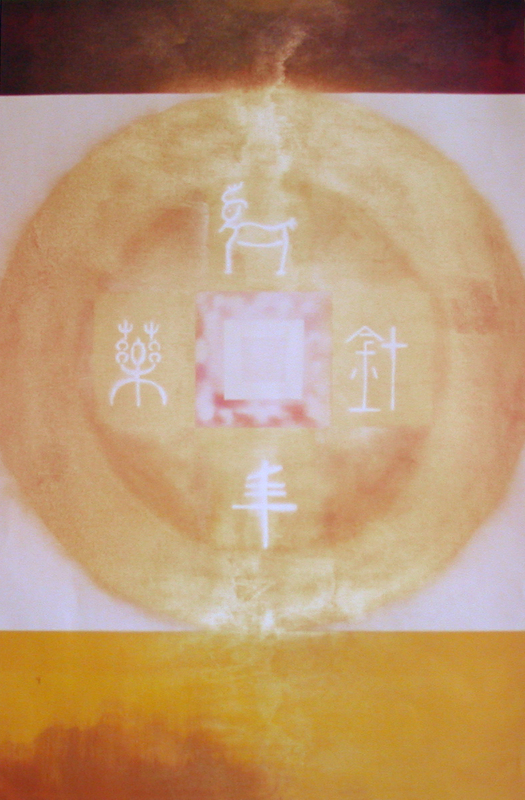 The ancient Chinese pictograph for emperor was the flower; a divine creation nurtured by the perfect balance of heaven, earth, sun and water. The different colors symbolize the cosmic spectrum within which all life is sustained. Bright green represents the restoring powers of spring to renew the body and its energies. After a tiring lecture, a long day at the office, a drive on a busy highway or an illness, meditating on the color green, like the simple act of walking on a green lawn, or watching and listening to the leaves of trees stimulates the body to a sense of restored vitality and wholeness. In Chinese philosophy, human beings are intimately connected with the moon. This galactic landscape, outside the boundaries of the known, where possibilities expand and miracles happen, represents the divine universe within each of us. A visual interpretation of Notoginseng, one of the most important and mysterious herbs in Chinese medicine used to treat physical trauma and blood disorders. This print was inspired by the ancient legend of the phoenix. It is meant to evoke the powerful dynamic of rebirth and magical transformation. In Daoist Shamanic rituals, red is used to benefit sadness and isolation as well as troubles with the heart or small intestine. 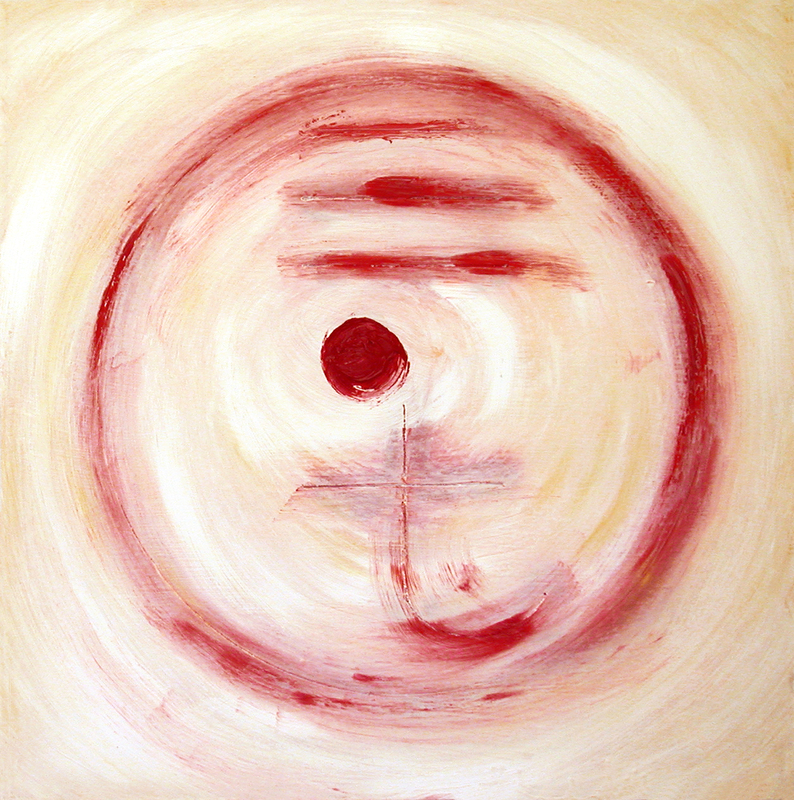 This painting is part of a series of images meant for use in combination with meditation to create balance and good health. Beneath the amber mask of polyurethane and gold spray is an ancient Taoist talisman for healing. It symbolizes the enormous power we all have within us to generate our own harmony and well-being. Blue is a color that can be used especially in combination with meditation to reveal the inner qualities of our being. It is associated with calm and strength, and helps to dispel worry and fear. In Chinese philosophy, mountains in the highest places in the natural world, symbolize heaven. The heavens are inhabited by the dragons of rain which, when collected at the base of the mountains, form vapors that fly back up to the top of the mountains. This free-flowing cycle evokes the interconnected nature of all things that, when kept in harmony, promotes good health and well-being.